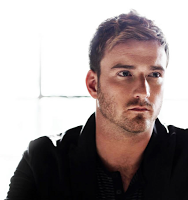 Here at fatBuzz we have been working closely with Jai McDowall, a Scottish recording artist who won the fifth series of Britains Got Talent in June 2011, for the past few months. We've been assisting with his social media leading up to the launch of his debut single "Got To Let Go" which was released on Sunday the 19th of May. Since we have been working with Jai, the social media activity has dramatically increased with the YouTube hits now at 20,120 since it was uploaded just two months ago! You can watch his latest music video below. The team at fatBuzz like his song so much that we play it every Friday. Hope you enjoy it as much as we do! Please show your support for Jai and buy a copy of his single HERE. If you enjoyed Jai's video, please share it with your online community using either the Twitter, Facebook and Share buttons below. Thank You.